Quote by ChNNR about Dzogchen and God - where is it from? Re: Quote by ChNNR about Dzogchen and God - where is it from? And then there's the classic analogy of gathering knowledge like a bee, going from flower to flower seeking nectar . . .
seek seclusion to digest all you have gathered. Like a lion, live completely free of all fear. They proceed on an empirical basis, observing their own experience carefully. What they certainly don't do is memorize a single recipe book and get frustrated if they encounter a working situation that doesn't conform exactly to what they prepared for. They are able to work with circumstances. Generally, the experiential insights that flower from keen empirical observation will negate the ontological positions that traditions such as Christianity are based upon. And in that sense you perennialists are the ones becoming frustrated when you encounter a situation that contradicts your preconceived notions. Fascination with tirthika tenet systems, beyond the pale of surface level interest, perishes at the bee stage. Right. Serious interest in tirthika dharmas is not intended to survive the initial stage. Unless it doesn't. Realization doesn't manifest in a mechanistic way according to a preset timetable that one's conceptual mind knows in advance. At what stage does fascination with rugby or card games perish? Can't we just find things intrinsically interesting? Calvinist theology is fascinating. I know it pretty well, and also that it's not going to save me. But that allows me to enjoy it more, not less. You keep using this term "perennialist" as if it refers to a single, well-defined position and approach. It doesn't. You seem to consistently equate it with an "anything goes" mentality of haphazard syncretism. Whereas what I am suggesting is more like an extension of the rimé approach to our contemporary globalized context. You explore different approaches while keeping an understanding of what is distinctive about each. And you may commit yourself especially to a particular tradition, as I have. Serious interest in tirthika dharmas is not intended to survive the initial stage. What are you talking about ? You think I have a problem with this ? 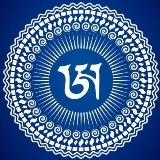 All i have been studying for the past 20 years is Buddhadharma...now a serious interest in Dzogchen.......i don't have a serious interest in anything else, nor have i EVER studied anything outside of Buddhadharma seriously. Last edited by A Ah Sha Sa Ma Ha on Fri May 25, 2018 5:04 am, edited 1 time in total. OK well, as long as you do Guru Yoga everyday so you do not create a samaya problem for yourself or your vajra family you will be good, and will definitely attain liberation. But I think part of what he is saying is that you can study classical Buddhist arguments against a creator God. Last edited by Virgo on Fri May 25, 2018 5:09 am, edited 1 time in total. For a few minutes maybe. But after that there’s only one thing in the world that is endlessly fascinating and it’s right under your nose. Right under your chin too, actually. Last edited by Karma Dondrup Tashi on Fri May 25, 2018 5:15 am, edited 1 time in total. If you know it won't save you then you don't have a serious interest in it. By "serious" I mean a discipline you are implementing as a means to liberate yourself. You keep using this term "perennialist" as if it refers to a single, well-defined position and approach. It doesn't. You seem to consistently equate it with an "anything goes" mentality of haphazard syncretism. Whereas what I am suggesting is more like an extension of the rimé approach to our contemporary globalized context. That is called "perennialism." You, yourself said you believe there is a single mountain that all systems climb. You explore different approaches while keeping an understanding of what is distinctive about each. And you may commit yourself especially to a particular tradition, as I have. Yet you believe the other approaches are equal in their soteriological value. It sure is! How can you learn to be uncontrived from following a recipe? A skilled cook in training will learn what works by experimenting and tasting, and build their repertoire so that they can play it by ear. They proceed on an empirical basis, observing their own experience carefully. What they certainly don't do is memorize a single recipe book and get frustrated if they encounter a working situation that doesn't conform exactly to what they prepared for. They are able to work with circumstances. This path is a major danger to many modern practitioners, because they think they're clever enough to impose their own understanding on everything. Which is why our rudder has to be valuing truth more than a) being right or b) conforming to expectations. Truth is determined based on what works, not based on prestige or personalities or the weight of convention. We attend carefully and, if we are entrapping ourselves through proliferating concepts, we simply notice without judgment. I don't think it helps to adopt a grave attitude. We should be serious, in terms of devotion to the path of realization, but not grave. you’re taking words way out of context. Texts use the word “uncontrived”, but that doesn’t mean that there’s no guidance on how to practice. There are very detailed and explicit instructions in the various Dzogchen paths. And you should talk to some professional chefs. Their training involves spending an enormous amount of time doing menial tasks exactly to instructions. I politely submit that on both these points you appear not to know what you’re talking about. But what is the point of "playing with words and concepts"? Does it help in our practice of the Dharma? Yes. As someone who works with adolescents for a living, you might want to relax your rigid concept of pedagogy. Play is integral to learning. It may surprise you to learn that I'm not an adolescent. But again you're struggling with the meaning of words, which makes your advocacy of "playing with words and concepts" more than suspect. The sort of "playing" that you're doing in an educational context with adolescents is very different from the "playing" that confuses the teachings of Dzogchen with tirthika Dharmas. Applying consistent reasoning is not a "rigid concept of pedagogy". Without it, the study of the view is nothing more than aesthetics. No, because the concepts in question are, as others have pointed out, explicitly analysed and rejected in countless Dharma texts who describe them as wrong views, and the paths associated with them as wrong paths that do not lead to liberation. Which we must confirm for ourselves. Until we are genuinely satisfied and convinced, pretending to be so is a barrier to the arising of genuine understanding. To borrow what I think must be an old Tibetan cliché, we don't give our "nose-ropes" to anyone, no matter who they are. We practice and explore freely, to the full extent of our capacity and to the best of our knowledge. Well, we certainly hand our nose-ropes to someone if we intend to practice Vajrayana. But that's an aside. Again you're struggling with specific meaning of phrases. We practice and explore, yes, but if "freely" means by trying to integrated into the Buddhadharma views that it explicitly rejects, then not quite that freely. I feel this dead horse has been flogged enough for one day. Perhaps you should, in the course of playing with concepts and freely exploring, consider the possibility that everyone else on this thread might have a valid point? This is probably the reason such threads are completely meaningless. What is the point of this discussion if everyone assigns whatever meaning they want to the words? (e.g. the word 'god'). It's not as extreme as assigning whatever meaning we want. It's a matter of acquaintance with a broad yet finite spectrum of what people mean by the word in question, in this case "God". Language is by nature multivalent and open to interpretation. Just like our perceptions; just like almost every situation. There's never only one side. There's a cognitive urge to simplify, but we don't need to obey it. Isn't some willingness to play with words and concepts more enjoyable than viewing them as having fixed identities? Isn't everything more enjoyable without imputing fixed identities? The point is, God, as seen by the Christians, does not exist, as can be proven by very basic logic, and is completely out of place in the dharma. There is no single Christian view. The position of dogmatic orthodoxy was arrived at as a bureaucratic compromise after centuries of squabbling, but there was always diversity of view and still is quite a lot. Possibly more than ever. Take two Christians at random: the character, precision, and sophistication of their God-concept will differ drastically. The same way that Buddhists who ostensibly adhere to the same teachings understand and implement them differently. This plurality of views is complex, and most Christians think their disunity is a problem. As Buddhists, especially Vajrayana Buddhists or Dzogchenpas, it isn't a problem for us. We can just enjoy the wild profusion of religious forms, like any other display, without needing to charge them with value judgments or feel duty-bound to criticize them. To be 'Christian' a view needs to be one based on the scriptures (the bible in this case) and one actually taught and adhered to by at least certain sects. What is the view that is taught in Christian monasteries and theological schools of the various traditions? These are the actual Christian views on God, though there are of course differences between them. On the other hand, the stuff various individual 'Christians' come up with and maybe write a book about cannot actually be considered Christian in that sense, as they depart from the teachings and it is now their own opinion. Accepting them as representative of Christian view would be like accepting New Age books that mention Hindu gods as representative of 'Hinduism'. Spelare wrote: We're all on the same mountain, whether we know it or not. Some are climbing it, and others are circling the base." In other words, we share a condition. Our experiences couldn't be helpful or relevant to others unless we shared something fundamental in common with all humanity, and indeed with non-human beings: sentience. Not everyone is aware of that condition or doing anything about it. And when I said "circling the base," I had in mind a superficial, exoteric engagement that never sets out towards the summit. This is how most people relate to whatever tradition they feel they belong to. So, some are, indeed, making no apparent progress, though they have the potential to climb the mountain if they become aware that they are just going round and round. krodha wrote: Yet you believe the other approaches are equal in their soteriological value. Spelare wrote: Some paths are more direct, others gradual, and still others quite tortuous. Some reach dead ends, which require one to go back the way they came and take another path. Whereas what I am suggesting is more like an extension of the rimé approach to our contemporary globalized context. You explore different approaches while keeping an understanding of what is distinctive about each. And you may commit yourself especially to a particular tradition, as I have. I was tweaking the classic "paths up the mountain" image in a somewhat subversive way, not endorsing it as it is commonly understood. The mountain I repurposed to refer to the existential situation we discover ourselves and the rest of humanity to share. Some traditions have well-tested maps and guidebooks. A live guide is better if you can find one you trust. But some traditions (or pseudo-traditions) may be so confused as to invert the picture and think they're in a valley instead of on a mountain! Perhaps you, too, have met people trying to go down into a valley that is actually a mountain. They're strangely common. I have spoken to professional chefs. But the thing is, not everyone has to train to be a professional. Most of us just need to know how to cook for the nourishment of ourselves and whatever guests come our way. For that, sometimes it's better to learn from someone who has an intimate intuitive mastery of the subject but isn't necessarily part of a formal training program. We don't all have to attend the Cordon Bleu. I think it's ridiculous to argue about the existence of God. We're all at different levels of understanding. To have aversions towards other belief systems and disparage them is also against Buddhadharma & Dzogchen. It is not a matter of aversion, and it is not disparaging them if you are not actually disparaging Christians in person for their beliefs. It is the opposite, thinking that the Christian view is correct is a major breach of one's samaya and a very negative deed. Of the ten unvirtuous acts, wrong view is the heaviest. To have aversions towards other belief systems and disparage them is also against Buddhadharma & Dzogchen. In what way?? Which text says that we should not point out the errors of tirthika dharmas?